These are my girls. We’ve graduated from sippy cups and juice pouches to hanging out at Taco Mac, but one thing has been constant: I love them! I’m at CatholicMom.com today, wondering about my changing role as a mom. With grown daughters, I’m not telling them to do things and making rules for them anymore. But I am wondering how to keep the conversation going. 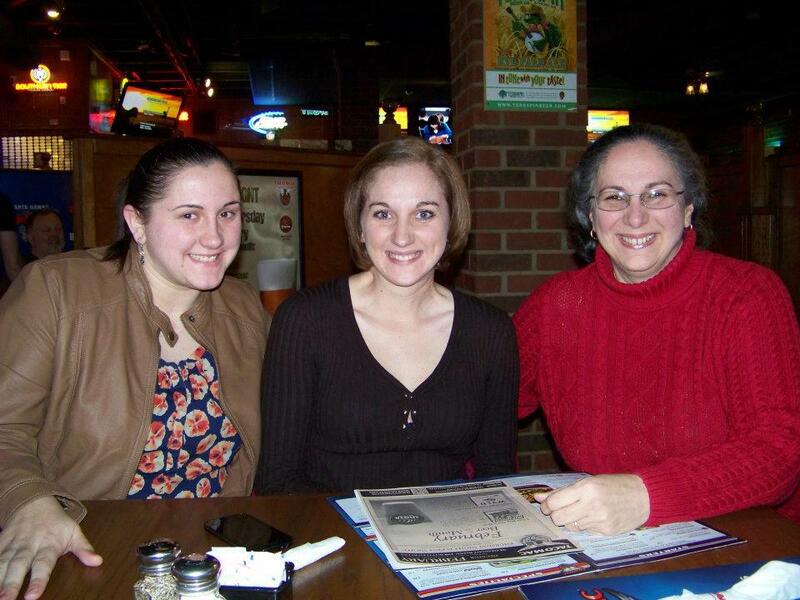 Some months ago I had the pleasure of going out with my adult daughters, both beautiful women in their early twenties. I never thought I’d have to wrestle over picking up the bar tab with those two, but I have to admit, it’s rather nice to sit back and watch that little social ritual play out as we reached for the bill. In the end, I gave up, letting the oldest assert her well-deserved independence and treat good ol’ mom. But there was a great deal of satisfaction in watching that playful scene. I was struck with the passing of time, and wondered how it came to this, that I was in a pub having drinks with my now grown daughters when just yesterday, it seems, I was desperately looking for the tops to the sippy cups. I love going out with my DD, I love having girl time and I love that she is now able to afford to treat me…she loves it too. She’s proud that she can. My Mother and I never had that type of a relationship, and many don’t. How sad, they are really missing out seeing the children/daughters as people. Lovely post. And lovely photograph. I’m at a similar place in my life, with a 20 year-old daughter and an 18 year-old son. I find I’m really enjoying their company as young adults. It’s certainly a period of transition, but a wonderful one. What a lovely post and lovely daughters. I too was blessed with amazing daughters and as my youngest leaves the nest for college, I wonder about these same things too. Wow, María! They are so beautiful, and they have your smile; that’s great!